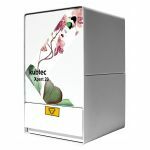 Kubtec Digital X-ray (a registered trademark of KUB Technologies Inc.) is a leading provider of high quality digital X-ray imaging systems for clinical, pathology, forensic, scientific/research and non-destructive testing. Our versatile and expanded product lines include: digital specimen radiography, cabinet X-ray systems, flat panel detectors, non-isotope-based irradiators, portable X-ray systems, conveyorized X-ray machines, and DICOM compliant software. 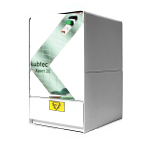 Since our inception in 2005, Kubtec X-ray has manufactured and installed systems world-wide without a single warranty failure to date. Our world-wide business and service is supported by Kubtec X-ray from our headquarters in Milford, CT, USA. 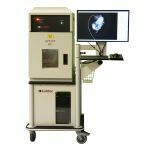 Our diverse portfolio of products includes our XPERT® line of cabinet X-ray systems, DIGIVIEW® flat panel detectors, XCELL® irradiators, XTEND® portable X-ray systems, X-Veyor® conveyorized X-ray systems, and Artemis® software. We are committed to running our company in a way that minimizes our effect on the environment. We value being efficient, while maintaining high quality, convenience, and reliability. To minimize our carbon footprint, we recycle our material waste, and reuse cardboard and packing materials. We emphasize electronic communication instead of printed material and reduce the use of paper internally. We continuously strive to deliver quality products and services to our customers. We are the first company among our peers to be awarded ISO 9001 and 13485 certifications. These voluntary certifications reflect our quality commitment to customers, the environment, and our workplace safety standards. Our products comply with applicable European MDD, Canadian Medical Device regulation and FDA QSR standards. We will continue to innovate as healthcare evolves. We are committed to producing quality products that serve our customers as their needs change.